Summer is the best time to start a brand new brave voyage onto the sea and beyond! With Tea’s 2017 summer clothes, our little citizens’ adventures are deemed to be accompanied by the tender push of the indigo waves, soft kisses of the weightless ocean breeze and an exploratory dive into the world of exotic, amazing tropical animals. 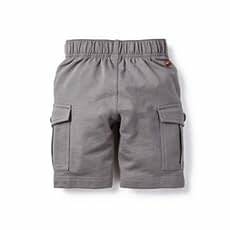 Who doesn’t want our adventurous little citizens to stay cool and cozy during the summer? Ice creams might chill out their little red chicks temporarily, inflatable pools might bring up a big wide smile on their vigorous little faces; but is there anything that helps out little adventurers stay both cool and chic all the time through? The answer lies right within Tea Collection’s summer collection. Apart from the all-time classic elements such as the printed floral dresses for girls and military style inspired summer shorts, the oceanic elements are playing a big role throughout the collection for both girls and boys. 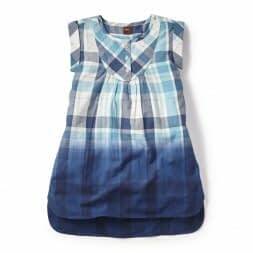 Whether it is the Bon Voyage stripe shirts for girls, or the gorgeous indigo dye Atlantic Plaid shirtdress, Tea this year is taking on the sea elements fairly seriously by blending the classics with its own iconic, modern yet retro style twist, through the gentle touch and brilliant usage of marshmallow colors such as blizzard blue, bright turquoise and new york pink (the bright creamy orange); resulting in a stunning and distinctive Tea styled cute summer dresses that constantly pushes our little sailors to the tip of wave of the chicness. Tea for girls: floral influence is something you could never miss. 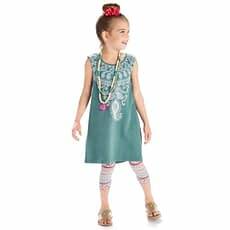 Tea’s summer clothes for girls reflects a rich impact of oriental infusion, such as the Manga Malai graphic dress; alongside with bold, refreshing Africana mix, such as the Kala striped Capri leggings. Those new elements would give a classic style piece like the garcon Daya Check Racerback dress an instant cultural twist that would make them go so great together. 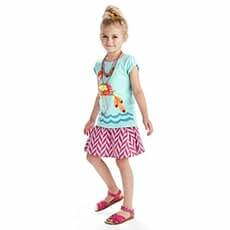 The adorable glossy animal tees are another highlight for the summer trendy must-have; the lovely animal tees will both boost the cuteness of our little ladies as well as adding more to their summer exotic tropical look. Tea for boys: look! Who’s behind that little citizen over there? Oh it’s our vigorous little soldier! 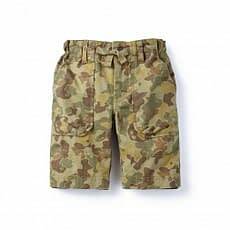 The boy-scout style shorts are never too far when it comes to the cool summer little soldier appeal. Stick to either the comfortable submerged graphic tee, or the classic French Terry cargo shorts, the Tea for boys’ summer styles is keeping the classic modern while playing with various of vibrant oceanic elements, colorful yet carefree, bringing our boys the maximum freedom under the summer sunlight. 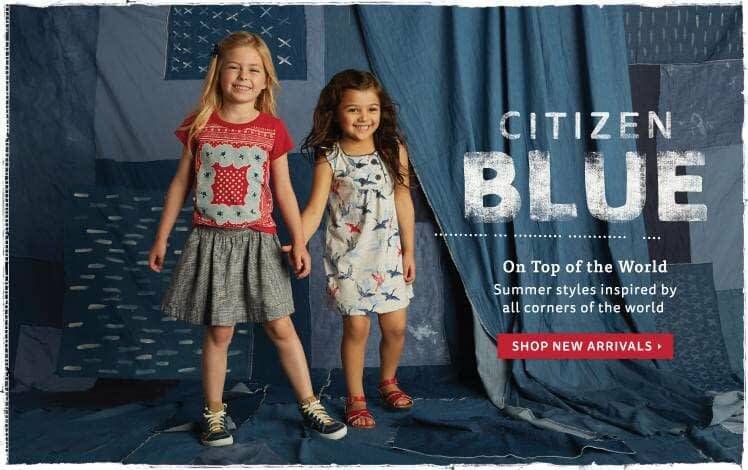 Accessories: So we’ve found our little citizens the perfect look for this summer? 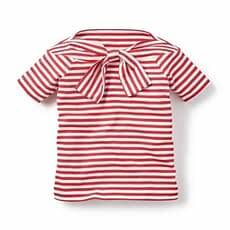 Wait; don’t forget about another essential piece that would finally finish her/his cosy and chic summer look! 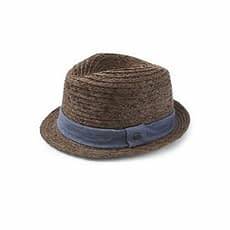 A simple Chambray Hat for example, is going to make the floral dress underneath blooms so lively, but Appaman Mercer Fedora? S/he’s gonna be rocking some summer jazz like a vintage saxophone master. 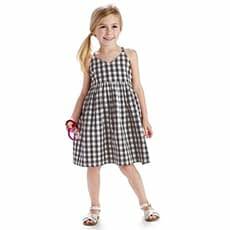 Yet regardless of staying cool or casual, the key to boost our little citizen’s final look is to match/mix the style of her/his outfit while be considerate of their unique personalities. Oh we know them the best.